Alice Constancio thinks about her big sister every day. "I never imagined this would happen," Constancio said. 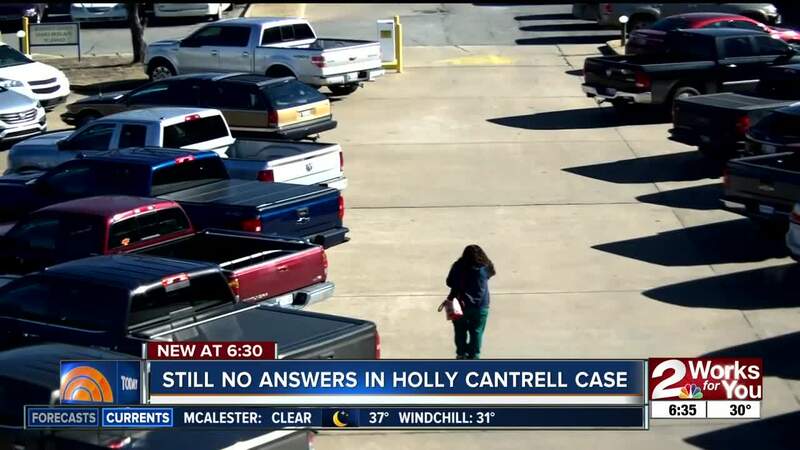 On January 20, 2017, 40-year-old Holly Cantrell was last seen on camera leaving for her lunch break from her job at McAlester Regional Health Clinic. Her family says she was five months pregnant. Since then- there've been breadcrumbs, but no answers in her disappearance. "Within a week we knew something was wrong and then since then, we've just known," Constancio said. Alice and her family firmly believe Holly is dead. A hunter found her purse a month after her disappearance and her family believes her remains were found last March. The Oklahoma Medical Examiner's Office tells 2 Works for You those remains were sent to the National DNA Database for Missing and Unidentified Persons at the University of North Texas. The family says McAlester police are still treating holly's disappearance as a missing person case and not a homicide investigation. We reached out to McAlester police. They said they can't move forward until the DNA tests come back on the remains. The medical examiner's office says the university does the testing for free and works on cases from all over the country. The medical examiner couldn't say when that DNA will be tested and can't give a timeline for when it will be completed. "They say it could take up to 18 months but we're hoping for a year," Constancio said. Now on the two year anniversary of Holly's disappearance, her family is still waiting and they hope to hold a vigil soon to keep her memory alive. "People look at you weird, like try to pity you," Constancio said. We keep looking because even if that's not Holly, that's somebody's Holly," Constancio said.